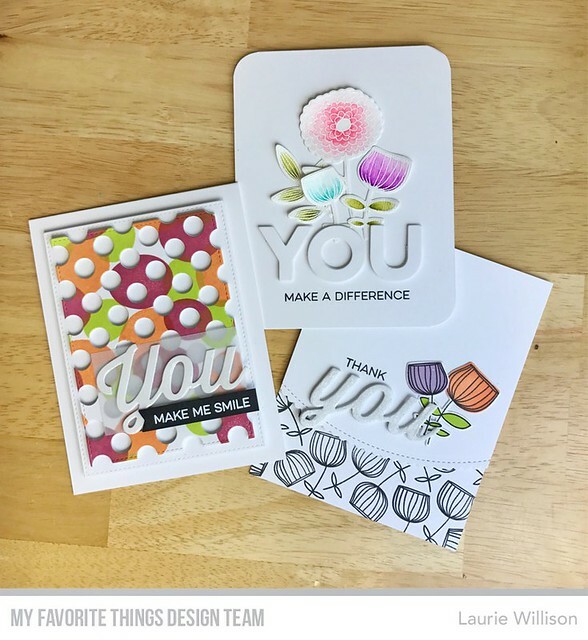 A trio of fabulous cards Laurie! Clever use of the flower's center stamp! Love your other cards, too! Love how different each of these cards is. So unique. The peek-a-boo polka dot card is very neat. Love the colors. Such a fun and funky background! So many things you can do with this kit! Really fun cards! So creative! I love how fun and unique your first card is! Very fun card! I love the polka dots! All the cards are really, really gorgeous! Wow! Great kit!!! Love your beautiful cards!!! Loving all the variety in your cards. Thanks for the great inspiration. Love the polka dot card - a totally different look! Wow Laurie! Your cards are all so different, but each one is amazing! Thank you for the inspiration! Wow! Now that's one very impressive card! Fabulous design! your cards are amazing!! the first one is so clever!! I love how you used just the flower centers for the background. Very nice the use of the dotted die on the background. They are all beautiful cards. I love these, especially that fun background, what a great way to stretch this set! Great creativity with these cards...love the first cards background using the solid stamps. 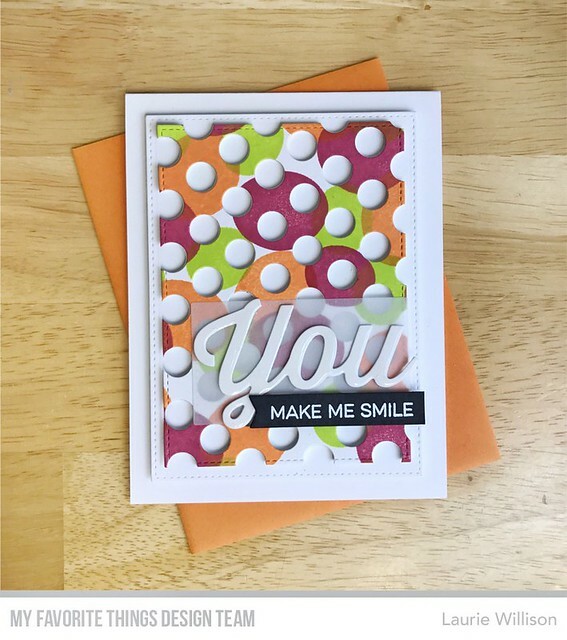 Love that polka dot die and that you colored it with different colors! Using the vellum under the sentiment was genius as it softens the colors and cut out dots underneath. Love that bright envelope, too! Love these cards, you're so creative with the polka dots! You got such a different look from the kit. So cool! Gorgeous cards! Love the fun design of the first one! Awesome and original creations! Thanks for the inspiration! AHHHHGGG, I love your first card! The colors are amazing. Fantastic designs - thanks for making three completely different designs. I believe I'm going to be doing some CASing once my kit arrives. Oh how cute! Love the dots cut into the dots! And the colors are totally fresh spring. Beautiful cards!! Love that polka-dot one the most. It's just so different! !